Is that job already taken? What is the better metaphor for the role of elders in the United Methodist Church: Watchman/woman or Shepherd? 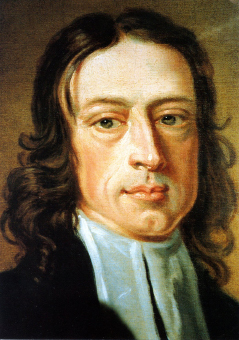 John Wesley most often made reference to the way Ezekiel speaks about watchmen. He spoke often of being clear of the blood of those who did not listen to his preaching. He had Ezekiel 3 and/or Ezekiel 33 in mind. But Ezekiel also speaks of shepherds. Yes, I know these are not the only two metaphors for the work of an elder, but today this is where I am looking. On the one hand, I am drawn toward the metaphor of the shepherd because it plays toward my gentle and nurturing side. But, of course, in Ezekiel 34, God seems pretty set on assuming the title and role of shepherd for himself. Could it be that it is God’s task to gather up the lost, bind up their wounds, and provide them with food? Could it be that the task of the elder is more to be a watcher on the wall than to be a shepherd in the field, to study and speak the word of the Lord? Is that perhaps what Paul is saying to Timothy? These are honest questions. And I know the answer is probably more both/and than either/or, but I do wonder if we run the risk of usurping the role of Jesus when we see ourselves primarily as shepherds. Posted on June 30, 2015 by John MeunierPosted in Bible, Church, PastoringTagged Ezekiel, Jesus, pastor, shepherd. Q: Should these two things define the church? If we in the church are an extension of the original apostolic ministry, then shouldn’t the core of our mission be defined by the tasks originally set out by Jesus? In this passage those tasks are preaching and driving out demons. To this point in the gospel, the content of Jesus’ preaching has been the original proclamation of Mark 1:15. The kingdom has come near. Repent, and believe the good news. I have zero reason to believe the apostles were sent out to preach anything different. Is it fair to say that preaching the kingdom is the first task of those who see their ministry as in a line with the apostles? Also to this point in the gospel, we have seen Jesus drive out demons. Here he gives the apostles the authority to do the same thing. Has the authority passed down to us today? If so, why do so few mainline United Methodists speak of such things, much less do them? Here is my question today: Are these things evil or not? I’m not interested in whether we would say these things are imprudent or potentially contrary to our own interests. Are they, as Jesus says, evil?